Cow Camp. 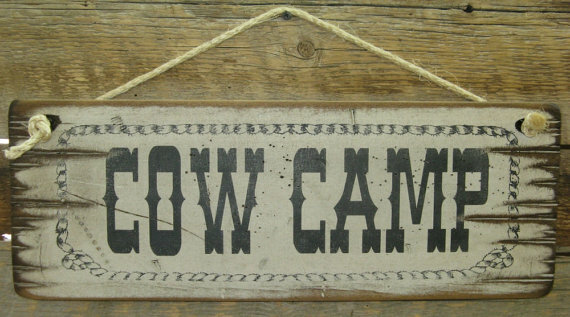 Hang this at your cow camp or somewhere to remind you “Cow Camp” is where you would rather be! This white background sign measures 6×19 and comes with the grass rope hanger for easy hanging. Handcrafted with pride! !